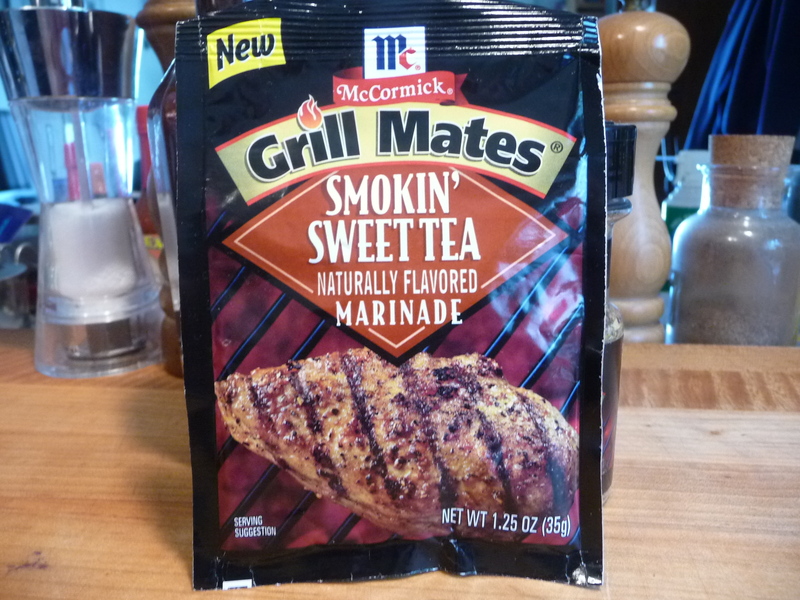 As members of the Grillerhood, we get to sample and evaluate some of the newest products from the venerable McCormick Spice Company. This naturally flavored marinade mix features a unique smoky blend of sweetened tea, spices and lemon. Each 1.25 ounce envelope makes 1/2 cup of marinade – enough for 2 pounds of chicken, pork or steak.